Remove light swirls and other imperfections with ease! 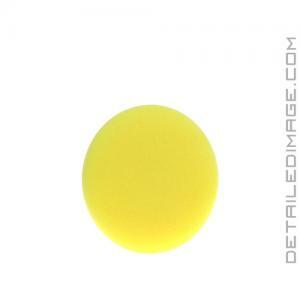 The Buff and Shine Uro-Tec Yellow Polishing Foam Pad is designed to remove light imperfections such as fine swirls, ultra fine scratches, compounding haze and holograms, etc. etc. quickly and easily! Swirls and other imperfections are no match for this pad. Pair it with your favorite light corrective polish for an easy to use one step polishing option. If you are doing a two step correction this pad is perfect to use after a more aggressive pad (i.e. Buff and Shine Uro-Tec Blue or Maroon Pad). It can remove any compounding haze, increasing clarity and finishing the paint down to that mirror like finish we all strive for. With the rise of the long throw polishers, imperfections are being removed faster than before. This long throw design and overall polishing speed saves detailers valuable time, however, it increases polishing heat and can really do a number on polishing pads. Buff and Shine imported high-end specialty European foam, that is designed for use with these long throw units. The foam is made with high-quality reticulated (open cell) euro foam of a higher density than traditional foam pads. This open cell structure and center hole helps disperse heat and reduce pad softening during use. The foam is attached to the backing with premium, heat resistant adhesives, which only adds to the overall durability of these fantastic pads. 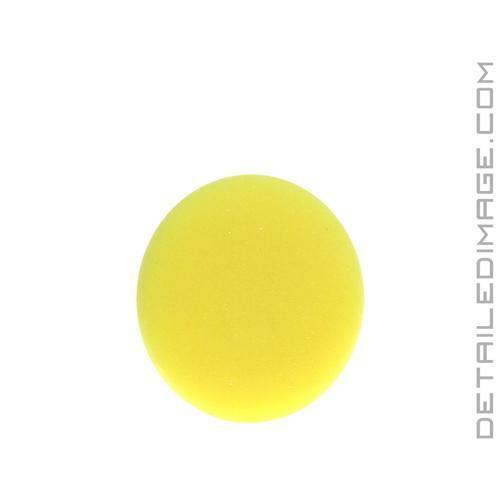 If you are looking for a durable foam pad to help you remove light imperfections, pick up the Buff and Shine Uro-Tec Yellow Polishing Foam Pad!